Professional sports bettor Rufus Peabody, competing under the username Opti5624, was leading the contest heading into the Eagles-Saints game, with a nearly $82,000 bankroll that he compiled after winning an all-in wager on the New England Patriots -3.5 against the Los Angeles Chargers in Sunday’s AFC divisional-round game. The Patriots won 41-28. The only problem— his winnings weren’t credited to his account until after the NFC game kicked off. He was locked out of making his final bet. According to data posted on the DraftKings’ website, some players were credited their winnings from the Patriots game before Peabody, allowing them to get their final bets in before the NFC game started. Several other contestants also didn’t get their bets from the AFC game credited in time to make final play on Eagles-Saints. On Sunday, the final day of the contest, bettor were allowed to wager only on the two NFL divisional-round playoff games. No more bets were allowed after the NFC game began. 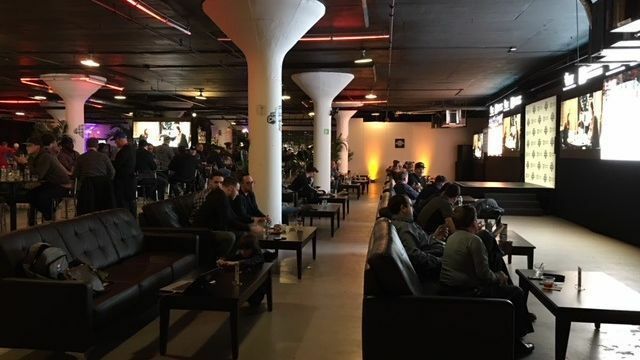 The DraftKings Sports Betting National Championship was the first of its kind since states outside of Nevada began authorizing legal sports betting after a U.S. Supreme Court ruling last May. It was held in a nondescript building in Jersey City. In the rented-out venue, tables, couches and chairs were spread out in front of dozens of TVs. There were also strobe lights, two open bars and plenty of cheering and groaning. Peabody said overall he enjoyed the format and understood that it was tough situation for everyone involved. He ended up in third place and will be taking home more than $330,000.